SHERIDAN, Ark. — Coding lights, wiring light switches and creating blueprints were just some of the activities fourth and fifth grade students recently learned at East End Intermediate and Sheridan Intermediate. 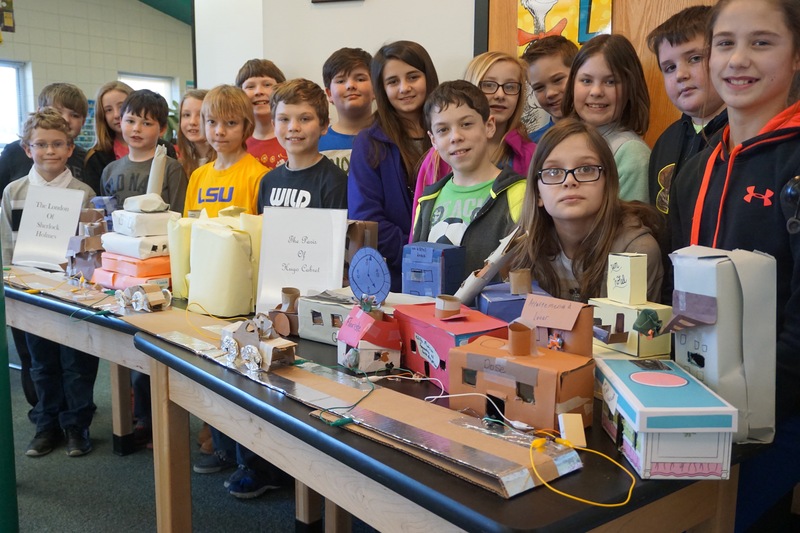 Thanks to a partnership between the two schools and the Arts and Science Center of Southeast Arkansas, students in the schools’ Gifted and Talented program learned valuable skills while constructing cardboard cities, complete with hand-made buildings, cars and programmed lights. Students learned to wire lithium battery-operated LED light switches and code chips using computer programming. This hands-on experience included using breadboards to connect the chip, battery and LED lights in order to create blinking displays. They even incorporated a zoned road that features a wired stoplight and specific lights that signal as cars, with conducting wheels, roll along. For East End Intermediate’s cardboard city, students used their imaginations to create original structures that reflected their individuality. For inspiration, they researched renowned architects like Frank Lloyd Wright, Gustave Eiffel, and E. Faye Jones, an Arkansas native who designed Thorncrown Chapel in Eureka Springs. 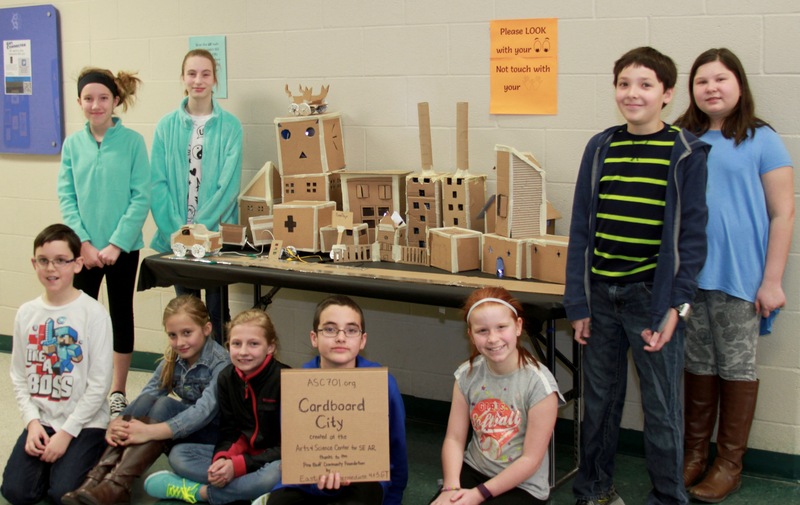 Sheridan Intermediate students chose to construct cardboard replicas of early 20th century London and Paris as an extension of their recent units of study. They built landmarks of Sherlock Holmes' London and designed the city of Paris, the setting for The Invention of Hugo Cabret. Sheridan Intermediate’s GT Facilitator, Sherri DeSoto, said, "My students enjoyed researching London and Paris landmarks mentioned in our recent studies. Using recycled materials from home, such as cereal and pasta boxes, they built architectural renditions that visually retell works of Sherlock Holmes and Hugo Cabret from their own perspective." The project was funded through a grant awarded to ASC of Southeast Arkansas from Pine Bluff Community Foundation. Click here to view a video that shows a 4th grade student wiring a switch and 5th grader coding for this project.